Cape May Birding is a year round event. Migration patterns place Cape May at a unique vantage point in New Jersey and birders from all over the country and world have made it a bucket list destination. Cape May birding can be enjoyed in several locations through Cape May County and Antoinette’s Apartments & Suites positions you for a great stay for multi-day birding. This past weekend, the Cape May Bird Observatory hosted the International Bird Observatory Conference and birders were out in force counting various species as they hit the peak migration period for the area. Birding trips can be planned throughout the year as many different species travel through the area each month. 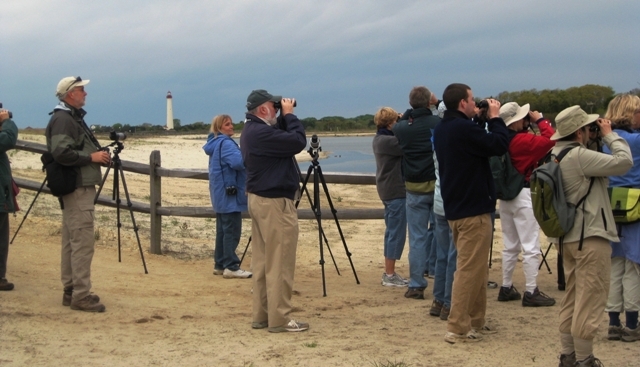 The Cape May Bird Observatory is a great place to start your birding adventure in Cape May. Located at 701 E Lake Drive in Cape May, the observatory offers a wide variety of programs such as birding school, weekly walks for Cape May birding specific trips and special field trips within Cape May County to get you up close to the birds and other wildlife you are seeking. 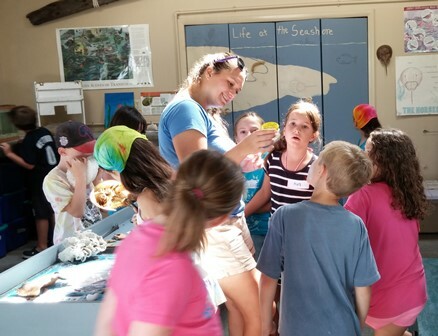 Located at 1600 Delaware Avenue in Cape May, the Nature Center of Cape May offers many different summer camps for those in the area or visiting on vacation. They also host birthday parties for a unique chance to get kids into nature on a special day. Scouting and school field trips are also part of their programming or you can just stop by during their season. Their hours of operation are listed on their website. Your Cape May Birding vacation is a great opportunity to get kids involved in birding. The New Jersey Audubon Society has fantastic info on how to get kids involved. It’s a wonderful opportunity to encourage curiosity, patience and organization as kids keep track of which birds they have discovered. The NJ Young Birders organization is also a great way to get started in birding. Their website offers more info on membership and the trips they have planned. So, plan a bike ride to the lighthouse or one of the many other birding spots in the county or even just take a seat on our porch and see who flies by! Book your stay with us now and plan your next Cape May birding getaway. We offer a central location in Cape May with easy access to the beach, Washington Mall and are just a bike ride or car ride away from many great birding destinations. This entry was posted in Activities, Birding, Events, Family and tagged activities, birding, cape may, family by Deanna Brown. Bookmark the permalink.